Welcome to the Festival of Food Carnival. In celebration of the New Year and Healthy Starts, we're sharing recipe ideas for healthy, nourishing recipes or anything you would enjoy this time of year. Hosted by Diary of a First Child and Hybrid Rasta Mama, you're welcome to join us next time, or if you have a previously published recipe you'd like to share, add it to the linky below. A few months ago, Sam and I decided to try out a new eating habit: no grains, limited sugar. It's been a trip — one I never thought I'd go on, and one that has been surprisingly easy (!) and satisfying (!!). Like, not satisfying in some sort of holier-than-thou superiority-complex asceticism, but satisfying in the sense of tasting good and being kinda fun. I know! No one's more shocked than I am. But at the risk of boring y'all talking diets (blah blah blah) and setting myself up for ridicule if in another two months we've moved on from it as a fad, I'll just present one of the dessert recipes we've tried out recently. This is still a treat, but it's not quite so sweet, so if you're in the mood to kick your own sugar habit as a resolution, here's a good, decadent choice to start with! If you feel like you overindulged over the holidays, enjoy the subtle sweetness, rich nutty taste, and cakey texture as you tell yourself they're "health cookies." Yeah, that's it. 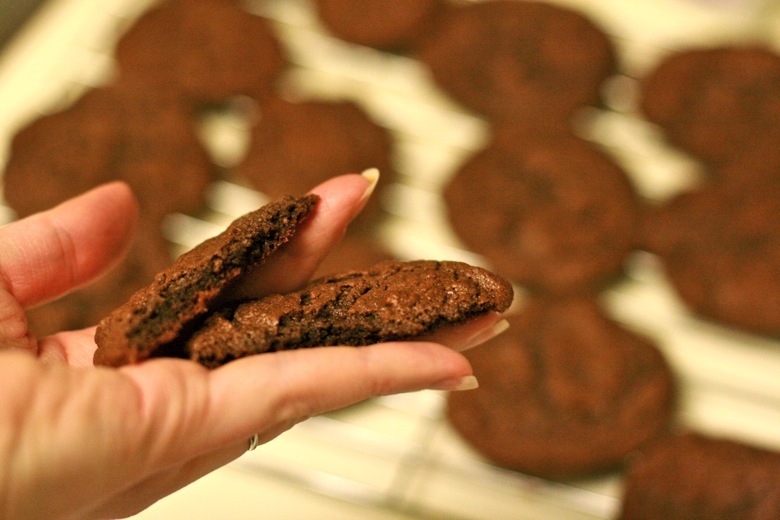 This cookie is chewy, chocolately goodness, with all-natural sweeteners, and is grain-free. Mikko's favorite cookies are rich peanut butter cookies, and this is a nut (almond) butter version of the same. (Note: He will not eat this version. More for me.) These cookies taste good even if you're not into being paleo, so anyone can enjoy them (except Mikko). Plus, they're gluten-free, dairy-free, and refined-sugar-free so are safe for people with those sensitivities. They still contain sugars in the form of honey, but you can use less or substitute with stevia as you need to — you'll likely have to play around with the recipe somewhat, since the honey adds moisture; maybe add in some coconut oil? Vegetarian, vegan if maple syrup is used in place of honey, gluten-free, paleo/primal, low-glycemic. 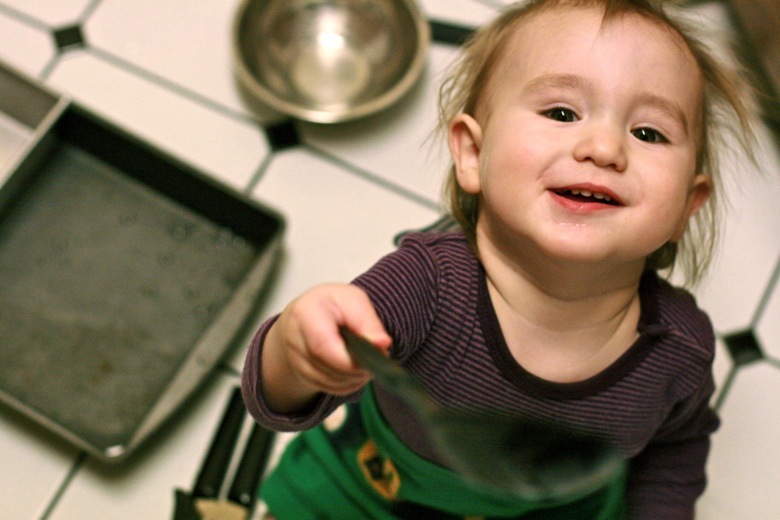 Give your baby some random kitchen tools and water to play with. Bonus points if he's wearing his older brother's shirt as a skirt. In a medium to large bowl, start off by slightly beating the egg. Add in the rest of the wet ingredients and mix. 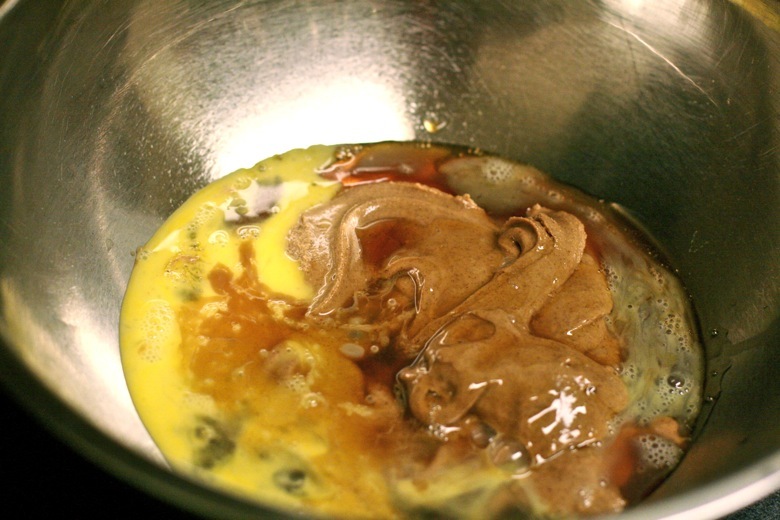 Note that every paleo baking recipe you've ever made starts off looking revolting. 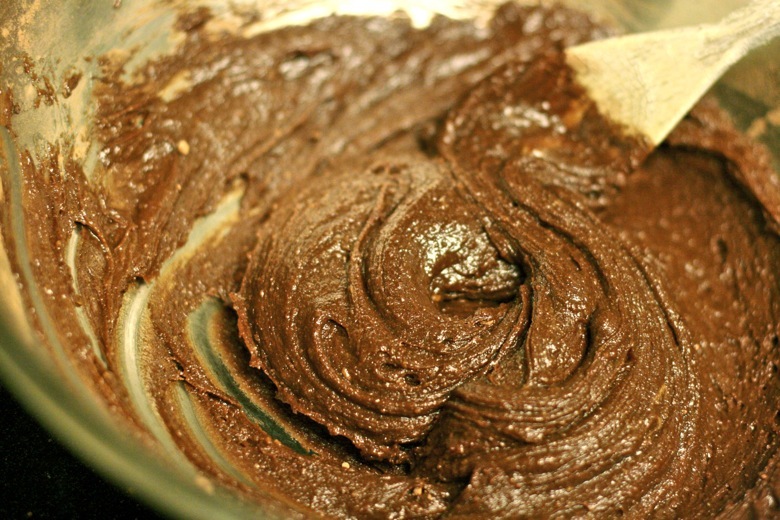 Sprinkle the dry ingredients (cocoa, almond flour, and baking soda) evenly over the top and mix those in as well. 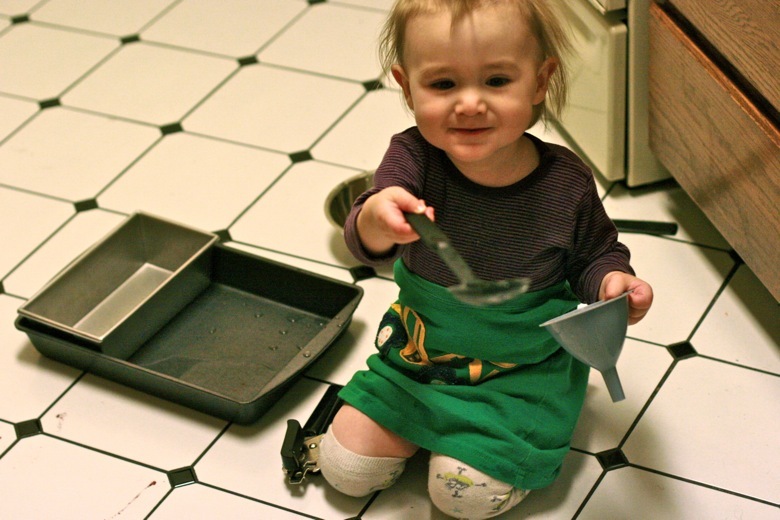 Grease a cookie sheet with coconut oil — use your fingers so the batter won't stick to them, either! 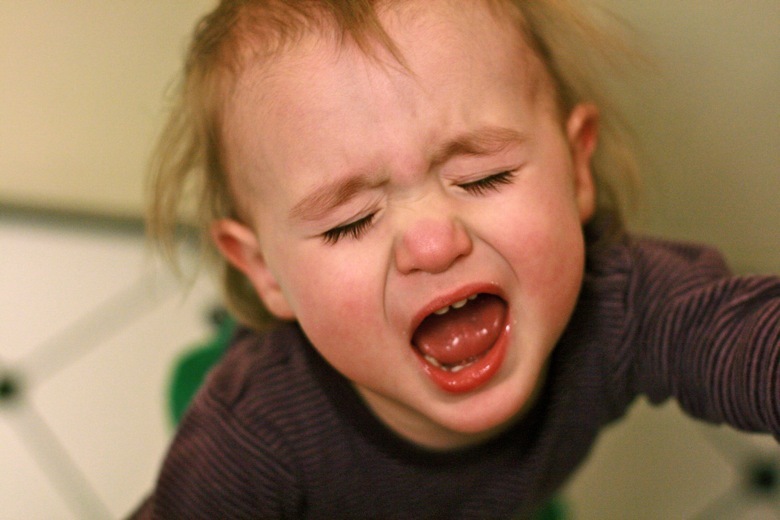 Tell your baby you're almost done. 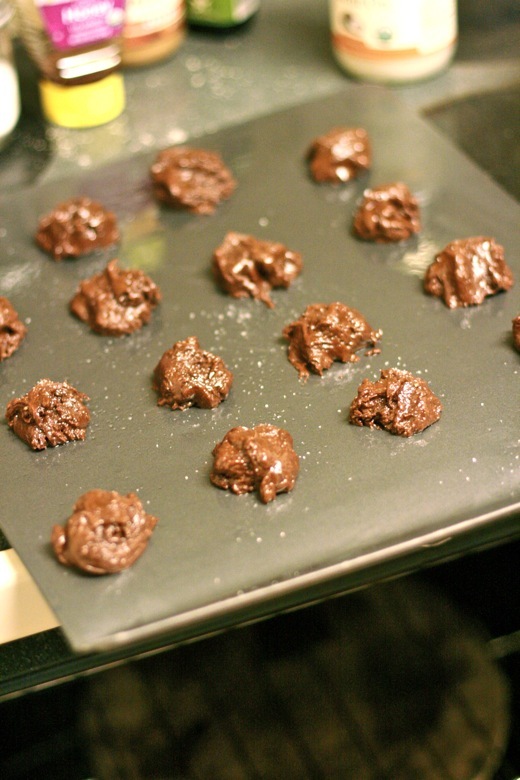 Roll the batter into little balls and place on the cookie sheet. Sprinkle salt onto each doughy ball. 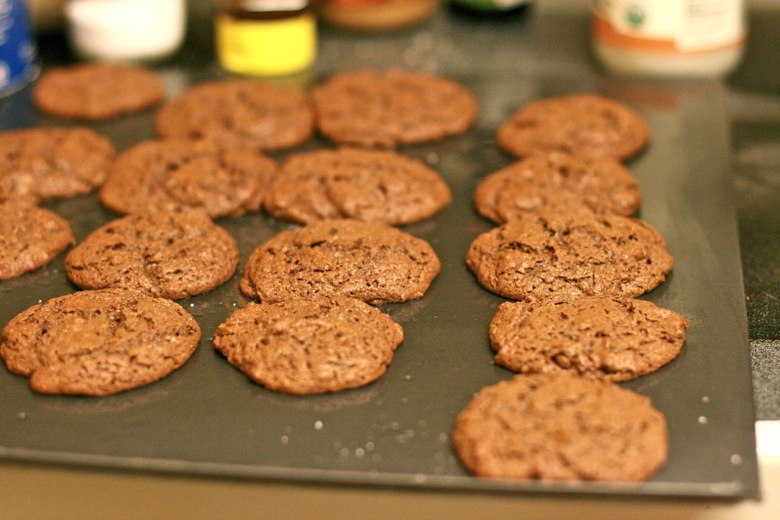 Let stand on baking sheet for 5 minutes or more to set up, and then transfer to a cooling rack. They get even cakier after a couple days … if they last that long! Click for an easy Tweet! Sarah at Why Food Works shares Guilt Free Ranch Dip. Food is more fun when dunked, and kids eat more veggies with dip - use this high-protein, low-fat, Ranch-flavored spread at picnics, parties, and meals! You can also find Sarah on Facebook. Christina at The Hippy Homemaker shares her tasty vegan Black Bean and Barley Salad With a Cilantro Lime Dressing, a low-fat meal that packs a real flavor punch! You can also find Christine on Facebook. Bianca at the Pierogie Mama shares a quick and simple recipe for roasting cauliflower. Garlic, olive oil and Parmesan cheese make anything taste amazing!You can also find Bianca on Facebook. Have a blender? Then That Mama Gretchen says it's time to gather your veggies and plan a Mexican fiesta to debut this skinny version of taco soup. You can also find That Mama Gretchen on Facebook. Lindy at Poppy Soap Co. shared an incredibly easy Herb Rice recipe that makes a great pantry staple! You can also find Lindy on Facebook. Luschka at Diary of a First Child loves foraging for her food, and this Nettle Soup recipe is a great immune boost for the changing season. You can also fine Luschka on Facebook. Mari at Honey on the Bum shares her love of beet kvass, a daily drink that holds particular importance in the winter. Destany and They Are All of Me shares her recipe for low-fat healthy smoothies that taste just like dessert. Lauren at Hobo Mama offers a nut-buttery, chocolatey treat that tastes indulgent while being grain- and sugar-free. You can also find Hobo Mama on Facebook. Jennifer at Hybrid Rasta Mama shares a super easy, fix it and freeze it Curried Lentil Soup In A Jar! You can also find Jennifer on Facebook. I've been trying to eat primally for over a year now. Just can't seem to make it stick for more than a few days. :P I love marksdailyapple.com, especially today because he is discussing co-sleeping. :) Thought it was funny seeing that topic on that blog. 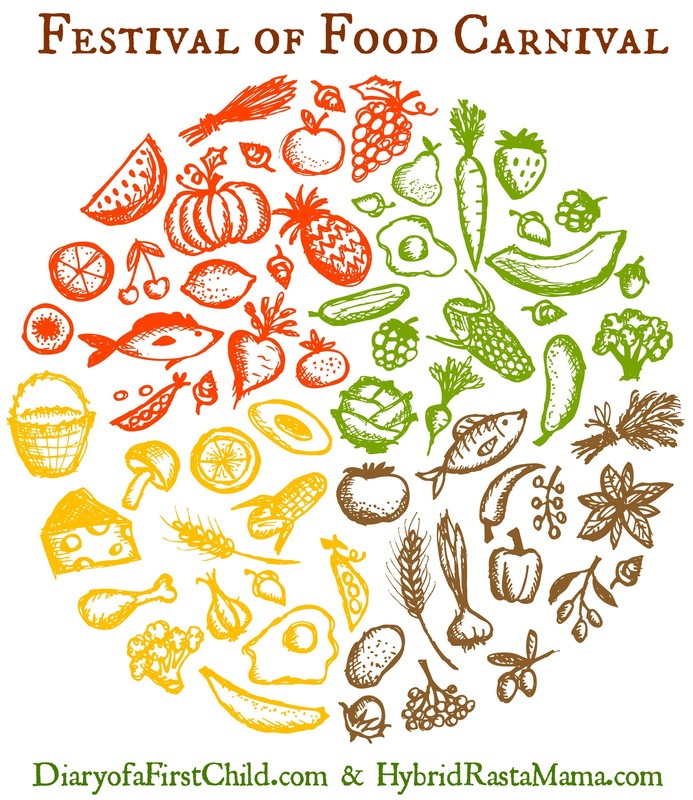 Thanks for joining the January Festival of Food! So I actually made these for a snack before we went to San Francisco this week (Since I had your post early and all). They were perfect! 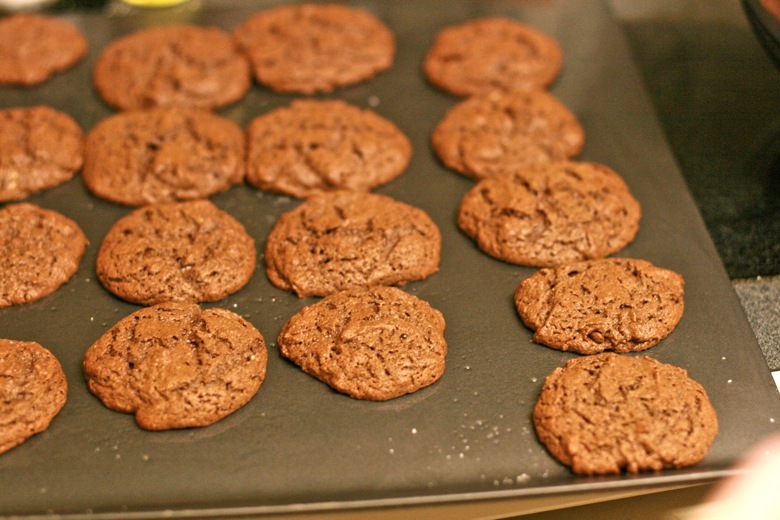 Super easy, really tasty, and yeah - you sort of eat ALL THE COOKIES! I made these tonight and they are yummy. They were very puffy, though. I know almost nothing about baking, so I don't know if that's because of too much baking soda or too much almond flour. Any thoughts? @Laura: Ha, I have to read that article! I love that site. 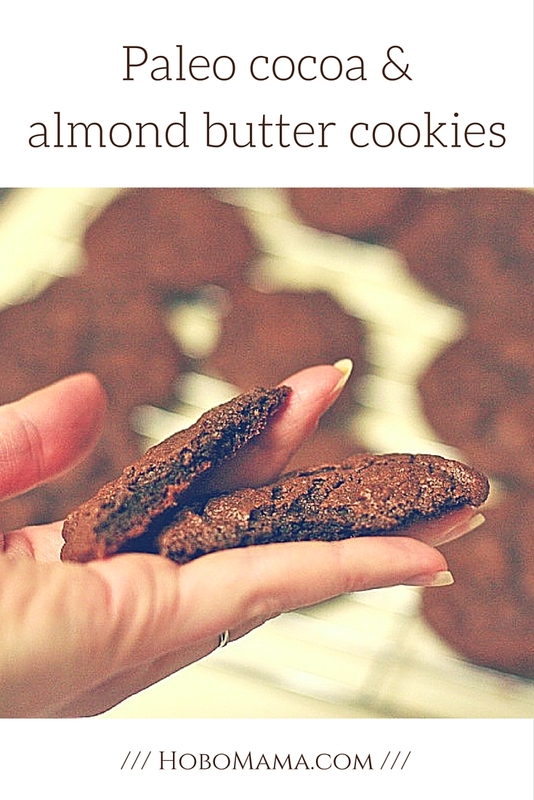 Yeah, so these do NOT work if you replace the almond butter with butter! :/ I'm going to have to see where I can find some, because I'm for a chocolate biscuit that's sort of good for you ;) Love the photos and love the child descriptions along the way! @Luschka: Aw, well, it was worth a shot! ;) You might be able to combine butter and almond meal for a similar taste, but you'd have to experiment with amounts. However, almond meal might be just as hard to come by as almond butter! For us, almond butter is next to the peanut butter at the regular grocery store, and the natural foods store has a ton of different options. I don't know how common it is elsewhere, since we just started eating it! Ahh, these are making me happy! I was a little worried when my batter looked drier than yours, so I added a bit more of the beaten egg that I'd reserved. In retrospect, I realized that cashew butter has less fat than almond butter--so I probably should have added some butter or oil. I subed baking powder for baking soda and added an extra tbs of cocoa.... They were very yummy, even my picky five year old loved them . These were great! The recipe is very reliable and simple, and can be modified in a ton of ways. 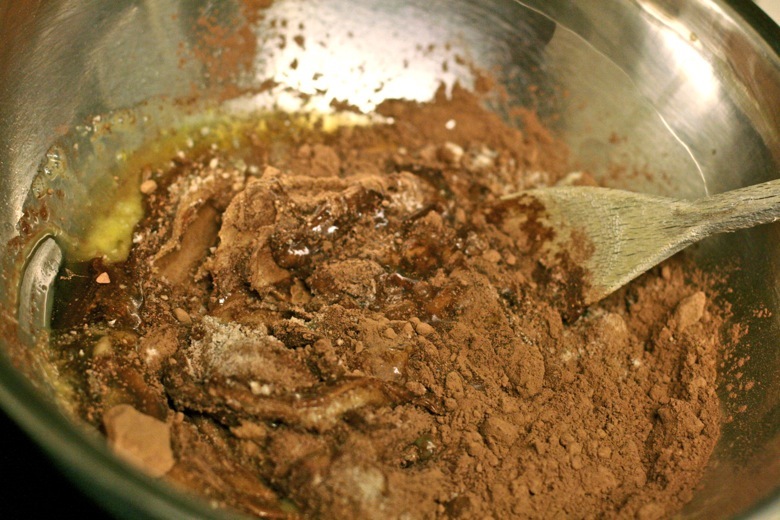 Use honey or maple syrup, regular cocoa powder or dark, even add some nuts to change up the texture. I've made the original recipe and I've played around with it, and as long as all the liquids to solids ratios are followed, you will get a really good cookie. Almost a cakey brownie consistency (which is most certainly not a bad thing, we love our cookies chewy). The only bad thing about these cookies is that everyone loves them and they go fast! I've made them twice this week and finally have managed to get a couple! Thanks for this, it will definitely be my go to cookie recipe from now on. I started my paleo-ish food journey a few months ago and although I no longer crave sweets the way I used to (my main reason for going paleo) I still need some treats every once in a while. Who doesn't, right? :) With recipes like this, I can provide a sweet treat for the whole family that aligns with my new perspective on nutrition. Thanks! @soul_science: I like that name! @Lau: Probably. They seem similar in consistency and moisture level to me. Let us know if it works! Just a note that you can pretty easily make your own almond butter: Buy almonds and grind them up in a blender or food processor. The end. I just made these, and mine are also very puffy! I did use 1/3c + 1T honey, I increased the PB by 3T or so, and I used a duck egg instead of a chicken egg. So, I'm guessing it was one of those things that caused mine to puff, but I wanted to chime in anyway! Wow! these sounds great. Needed to find something that wouldn't smother you with refined sugars. Plus, my husbands eats really healthy and I wanted to find something he'd enjoy without guilt. I do have a question, would regular AP flour work instead of almond flour?I don't have it readily available to me. @D-Danesh: A one-to-one substitution of regular flour wouldn't work, I don't think, because almond flour is more of almond meal than a fine flour. You could grind your own almonds to make the almond flour, or you could see if it's available online where you are. (We usually order from Amazon, but there are other options online as well.) If you do use AP flour, you'll need to experiment with the other ratios to see what works — or maybe just find a regular cookie recipe that uses wheat flour and work on substituting out the sweeteners. 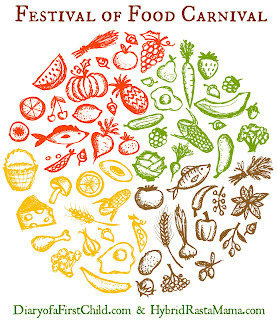 Join us for the Six Ingredient Challenge!